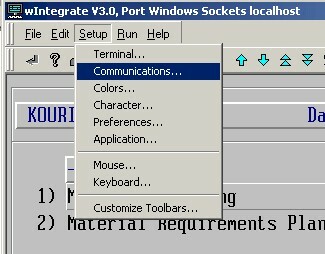 Occasionally, when using the Import or Export feature of wIntegrate, errors can occur in the communications process. Sometimes, pausing the processes and re-initiating the process is all it takes to resolve/overcome the communications errors encountered. At other times, the hand-shaking between the two systems just seems out of whack. One thing that may resolve this communication issue between the DataFlo server and the source/destination system is to adjust the block size transmission rate between the systems. 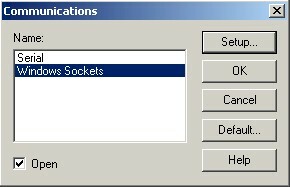 To access this feature of wIntegrate, click on the Setup menu and then select the Communications... menu item. wIntegrate provides an amazing level of control and numerous options. Try this tip when data is trying to move too fast. On this dialog window, click on the Advanced Tab. The field we are interested in is the Transmit Block Size. The default for this field is a value of zero. A zero value specifies the fastest possible transmission, with no restriction on the number of characters in each block. When any other value is entered here, that value is used to indicate the number of bytes to transmit at a time. The larger the number, the faster the communication will be. The next time you have a time-out or error in transmission, go to this field, put in a non-zero value and then re-transmit the data. Try a value of 128 for instance and see if that takes care of your transmission issue. wIntegrate provides an amazing level of control and numerous options. This tip should help when data is trying to move too fast! wIntegrate is a product, copyright, and trademark of Rocket Software, Inc.